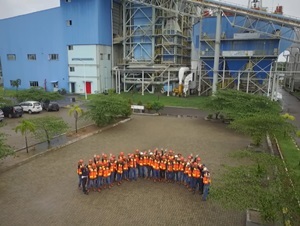 PT Bukit Energi Servis Terpadu - BEST or known as BEST Power is a rapid growing company in Indonesia, running business in electricity power plant industry. BEST Power has core business competencies in the field of Operational & Maintenance (O&M) services for power plant. Established in 2015, BEST Power is an affiliate company of PT Bukit Asam Tbk (Bukit Asam Group), a reputable state-owned coal mining company in Indonesia. As of December 2017, PT Bukit Energi Servis Terpadu is 99.28% owned by Bukit Asam Group through PT Bukit Energi Investama. According to information found in BEST Power's website as cited by JobsCDC.com, BEST Power now manages 2x8 MW Power Plant at Panjang Lampung Province, and 3x10 MW Power Plant at Tanjung Enim, South Sumatra Province. Indonesian Citizen (WNI), fear God Almighty. Minimum GPA of 2.75 for accredited A and minimum GPA of 3.00 for accredited B. Maximum age of 28 years old for D4/S1. Physically and mentally healthy based on the results of the health test. Ideal weight and proportional body posture. Not color blind (partial or total), not physically disabled, not mentally disabled. Not tattooed (Male or Female) and not pierced (except for Female with 1 piercing in each ear). Do not have sexual orientation disorders and behavioral disorders (transgender). Full body photograph size 4R (1 sheet). Not tied to work with other institutions / companies. Willing to comply with all applicable provisions at PT Bukit Energi ServisTerpadu (BEST). Color photograph 4x6 with red background and full-body photograph 4R (maximum file size of 1MB in each file). JobsCDC.com now available on android device. Download now on Google Play here. Please be aware of recruitment fraud. The entire stage of this selection process is free of charge. PT Bukit Energi Servis Terpadu - On The Job Training Program Bukit Asam Group March 2019 will never ask for fees or upfront payments for any purposes during the recruitment process such as transportation and accommodation.